SEPTEMBER 22--Music and marijuana fans alike will appreciate this evidence photo memorializing the stash seized earlier this week from Willie Nelson's tour by Louisiana state police. During a September 18 traffic stop, cops smelled a strong odor of pot emanating from Nelson's bus. 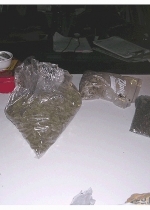 A subsequent search of the vehicle turned up about 1-1/2 pounds of pot and a bag of mushrooms. 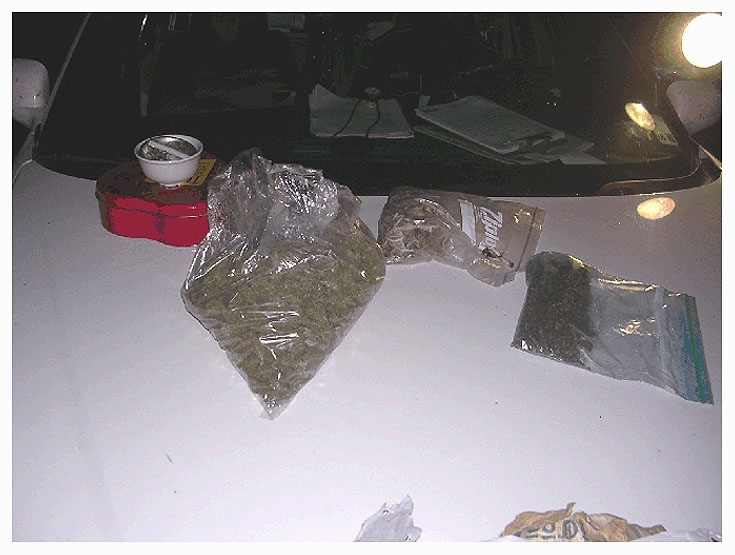 The drugs were later photographed on the hood of a police cruiser. Submitted by Midknight on Thu, 2011-05-12 06:19. Damned Right ! Leave Willie alone. He has helped enough people to earn the right to bend a few rules.All you are after anyway is to see your smiling face on the 6o'clock news.But publicity can help you and it can also make you a whole lot of enemies.Several million. Submitted by Barney C on Mon, 2010-11-29 17:22. I always wondered why the cops don't just follow Willie's bus around and arrest his all the time so they can increase their arrest record. Willie should be given a permanent pardon. He is a national treasure. I met him several years ago & he is the nicest person on this earth. If I were a law enforcement officer, I could not bring myself to ever consider going after this kind & gentle man. Long live Willie Nelson!